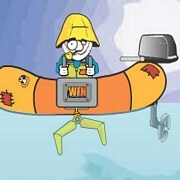 Description: In Fishing champion you play through 6 levels that are featured on your map. 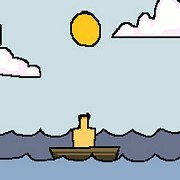 These levels include things like the "old fishing hole" and as odd as "the town dump". 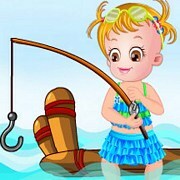 The fish species featured in this game are Rainbow Trout, Big Mouth Bass, Catfish and Salmon. 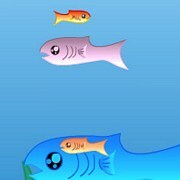 Later levels have a few different species also. If you can, try to hit the duck for bonus bait. 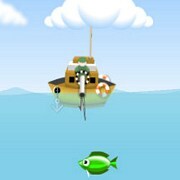 You need bait to keep on fishing. The art in this game is very cartoony and kid friendly. Its a fun one enjoy! 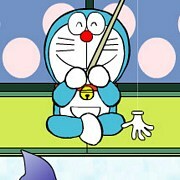 Instruction: Select different baits to catch different fish. 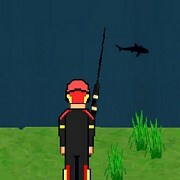 You will pass the level if you can manage to earn $1000 worth of catches. Each fish species has a different cash in value, so aim for the best money fish. 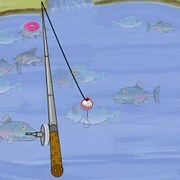 Tip: Make sure you hook fish fast and move mouse in direction the arrows point to. 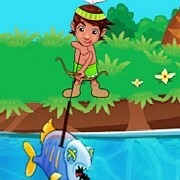 Game Controls: Use your mouse to aim and mouse button to cast and reel in.